Take home the total package of quality and value for money with a Dell Precision T7810 and T7910 Tower Workstations (7000 Series) from ITC Sales. We specialise in the latest Dell Precision desktops at exclusive low prices – you simply will not find a better deal elsewhere. 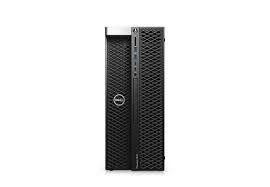 Our collection of Dell computers features some of the most powerful and impressive current-generation lines – ideal when high-level performance is the only acceptable standard. What’s more, all Dell computers come backed with extensive guarantees and aftersales support for total peace of mind.